Complete guide to debt collection remedies with special emphasis on pleading and procedural requirements. 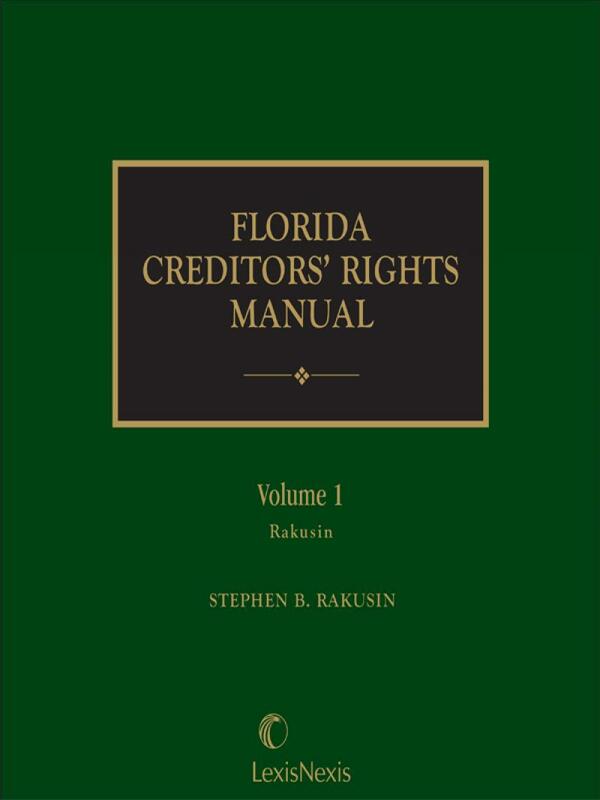 Placing heavy emphasis on pleading and procedural requirements, Florida Creditors' Rights Manual will help you pursue the best debt collection remedies for your client. 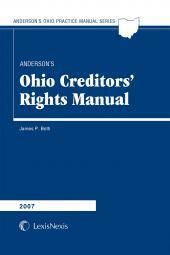 It discusses comprehensively the constitutional ramifications of taking a debtor's property. 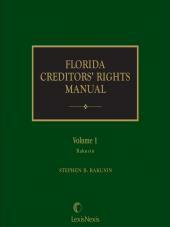 Subjects covered include attachment, garnishment, replevin, self-help, execution, fraudulent transfers, voidable preferences, receivers and receivership, forced sale of debtor's property, property exempt from creditor's reach, state remedies, bankruptcy and state exemptions, and state and federal constitutional implications of creditors' takings actions. 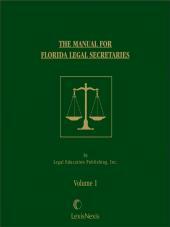 It also contains a full set of pleading and practice forms, as well as a comprehensive subject matter index and tables of cases and statutes to further simplify your research. Stephen Rakusin is a practicing attorney in Fort Lauderdale, Florida, in the areas of commercial litigation, construction law and collections. He is a graduate of the University of Florida (J.D., 1974) and was a member of the International Moot Court. Mr. Rakusin is a member of the Association of Trial Lawyers of America and of the Broward County and the American Bar Association. 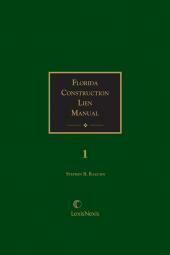 He chaired the Mechanics' Lien Law Legislative Subcommittee, and the Construction and Public Contract Law Committee of the Real Property Section of the Florida Bar.